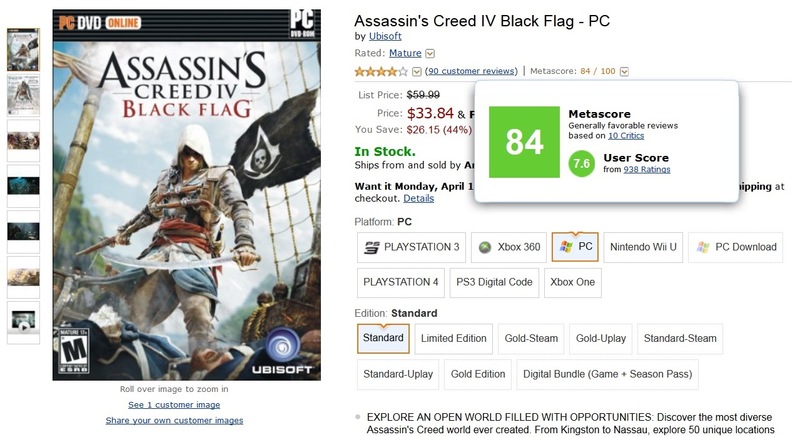 When Amazon, the world’s biggest online retailer, quietly added Metacritic scores to its video game pages, certain people were outraged. They claimed Metacritic had become too powerful, and that their system is essentially broken and a victim of the self-fulfilling prophecy: developers focus on making games that will get high Metacritic scores, rather than making good games. Well, Metacritic certainly is powerful. Even Japanese publisher Square Enix has admitted that they look at Metacritic scores to predict game sales. 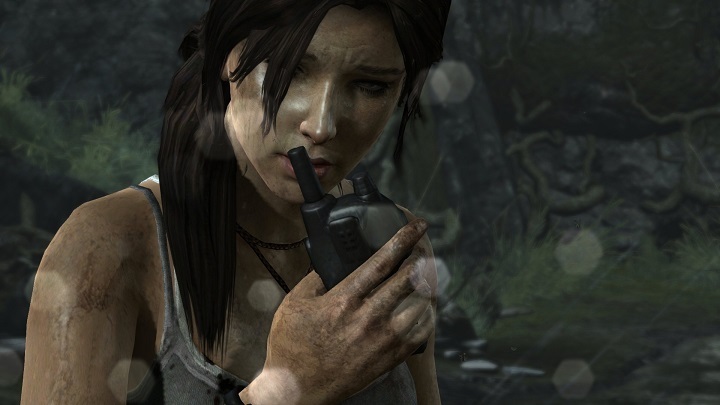 Regarding the latest Tomb Raider game, they were expecting to sell up to 6 million copies taking into account “game quality and Metacritic scores”, according to a company briefing. Well, guess what? Although Tomb Raider did pretty well, it did not come close to their predictions, at least initially. It was a great game, of course, but relying on Metacritic to predict game sales is like resorting to astrological readings. And this is because Metacritic scores are mostly pointless. Metacritic, being an aggregator of review scores, just calculates an average of critics’ reviews. So this means that games belonging to completely different genres, even niche games that may only appeal to a few people, are reduced to a single number, that says how “good or bad” they are. You could reach the conclusion that Super Mario 3D World is a better game than Skyrim, given that one has a Metacritic score of 93 and the other a score of 92 (for the PS3 version). But the comparison would not make sense, since one game is an open world RPG while the other is a platform game. Another issue is whether reviews themselves spoil games for users. Don’t they ruin your sense of discovery and surprise? Is the magic of games lost because you already know what to expect before you play? Should professional game reviewers impose their views on the state of the art and dictate conformity, telling us which games we should be playing and enjoying? A Metacritic score is probably pointless if this is “your kind of game”. Watching game previews, trailers or even playing demos (although they are rare these days) can give you an idea of whether a particular game is for you or not. Of course, you can be misled by advertising, but does a higher Metacritic score guarantee more enjoyment? Obviously not. I had more fun playing Assassin’s Creed: Revelations, which scored an 80 on Metacritic, than I did playing Bioshock: Infinite (which scored 94). I found the latter to be a derivative corridor shooter, with a plot that tries to be “too artistic”, so obviously it was a critic’s favourite. But it is not “my kind of game”. Very high Metacritic scores (90 or above) just mean that a game is universally appealing. It is what marketing types call a “mass market product”, one fit for casual gamers, those who are more likely to benefit from having a Metacritic score on Amazon games’ pages. But aren’t actual user experiences with the game more important? This is why I treasure user reviews. You see, right next to the Metacritic score (the big number, the professional reviewer average) there is a smaller number that represents the infamous user score. If the angry mob is complaining about the game requiring Steam (I’ve never had issues with it) or about shipping, then I can ignore these, but if there is something rotten with a game in question, then I really want to know. If only so that I won’t end up with a turkey like Duke Nukem Forever. In the end, though, a Metacritic score is just another piece of information gamers have when deciding which game to play. Casual gamers will just pick up anything in a green box, while the rest can do a bit more research. Steam has featured Metacritic scores for ages, and nobody complained about it. As long as developers focus on making quality games and gamers are having fun playing the games they really enjoy, then everything will be okay. Just don’t think a videogame can be reduced to an arbitrary score in a little box. Next: The End of Windows XP: Another Millennium Bug? The End of Windows XP: Another Millennium Bug?